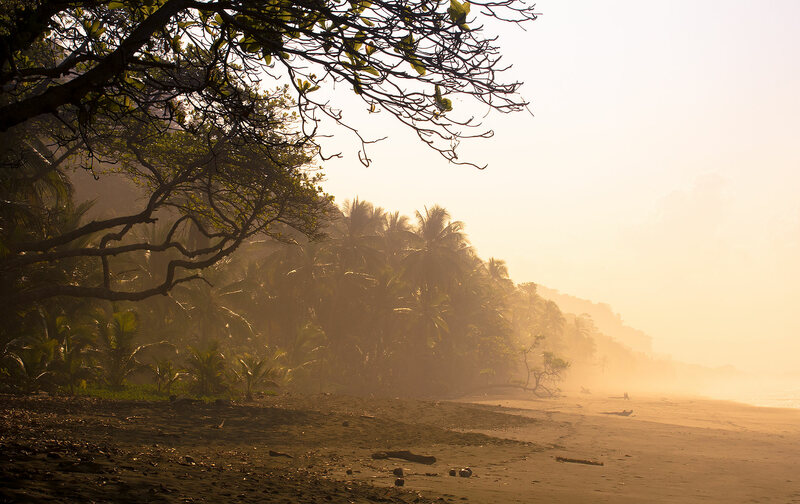 Costa Rica's Osa Peninsula is a wild gem of protected lowland forest, teeming with life. What can it offer the rest of the world? ooking out the window of the 9-seater Cessna, I see a massive inlet of emerald-blue, mountains of green. This is the Golfo Dulce, the fjord-like southern gulf of Pacific Costa Rica. 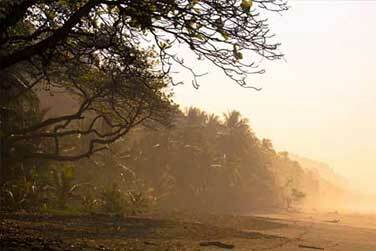 To the west is our destination, the Osa Peninsula - pristine, protected, primeval. I can’t help to think about the book I just read while peering at the green mountains of the Osa Peninsula. My copy of Half Earth, by Edward O. Wilson, arrived coincidentally just before my family was to jet off to the southwestern end of Costa Rica. In Half Earth, Edward O. Wilson argues that in order to preserve our biosphere, we should consider the goal of setting aside at least half of Earth’s land and oceans: that now is the time for governments and private conservation organizations to begin patching together the smaller pieces of protected land into large, unbroken continental preserves, and for governments to agree on setting large sections of ocean into permanently protected zones. 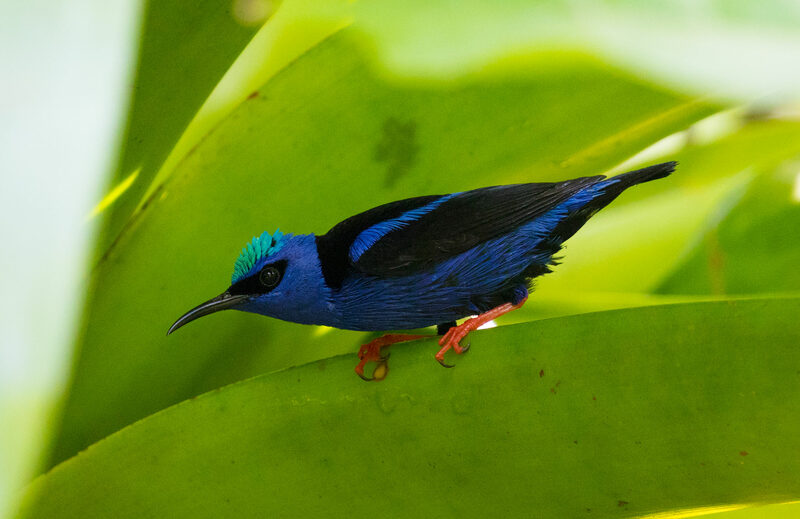 A brilliant male Shining Honeycreeper baths in a bromeliad in the Osa Peninsula. See where this region of Costa Rica is through my handpainted map of the Osa Peninsula. The Osa Peninsula, one of the most protected regions in the American tropics, makes a great place to think about the ideas in Wilson’s Half Earth. For one, nearly the entire Peninsula has some degree of protection. And at the center of this protection is the crown jewel of Costa Rica’s national park system; Corcovado National Park. There are many similarities between the way the Osa Peninsula is protected, versus the way much of the rest of Costa Rica is protected. And these differences mimic many of the arguments made by Wilson in Half Earth. On the approach to Puerto Jimenez, population 1,800, I see a complex coastline of isolated beaches, dense mangroves, twisty rivers, meadows, ranches, turquoise salt flats, small clusters of lonely sailboats. A Southern Lapwing takes flight from a palm that has bent downward into the water. No three-story buildings, no billboards. Just wild land and a small cluster of dusty streets and an airstrip. I’ve seen my share of the tropical Americas from the sky; tell me no more, it takes just a second to know heaven on Earth. There is only one other airplane on the runway - a Cessna 4-seater. The pilot of this plane hands our luggage to the pilot of the other plane, ushers us out, and then takes off again. A few minutes later, we are in the air again. This time, overland across cliffs draped in blooming trees. 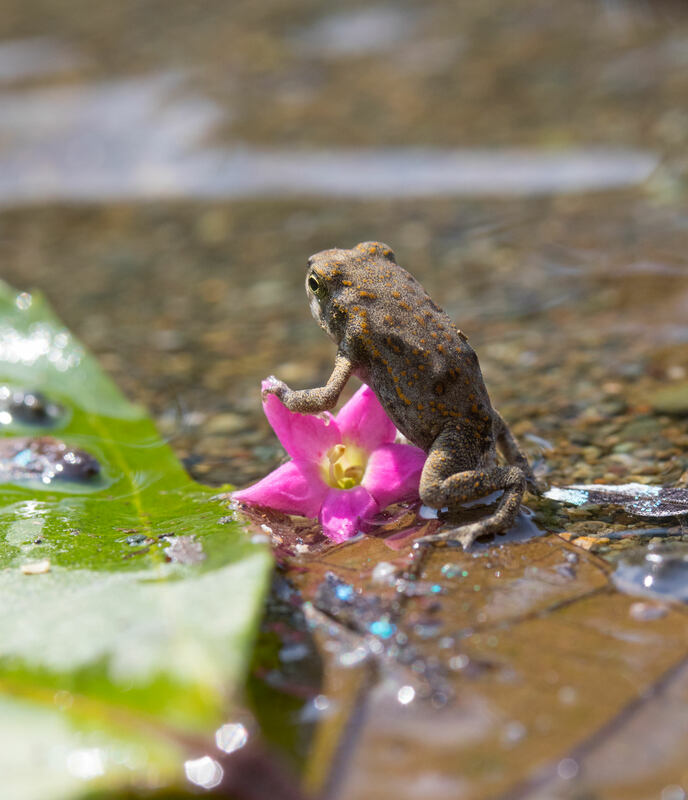 A juvenile Common Toad looks out over the mouth of the Madrigal River from the perch of a small jungle wildflower. Ahead is a small runway carved out of the forest, between a Pacific coast beach and a steep, jungly cliff. This is Carate, formerly the airstrip for foreign gold-mining operations that once swelled this coastline with a population of 60,000. The creation of the national park forced the end of gold mining operations in the Osa Peninsula, and now there is just an airstrip, a convenience store, two lodges and a handful of homes. My son, who has learned in the Spanish language since kindergarten, has never spoken the language outside of the classroom, and has been openly questioning why he can’t learn in English, like every other kid. But hearing our driver, who’s waiting for us at the airstrip, seems to pique his interest. As we drive into the hills to our destination - Luna Lodge - something seems to snap into place. He, not us, understands our driver. We are in his 8-year old hands. For the first time in our lives, we depend on him. 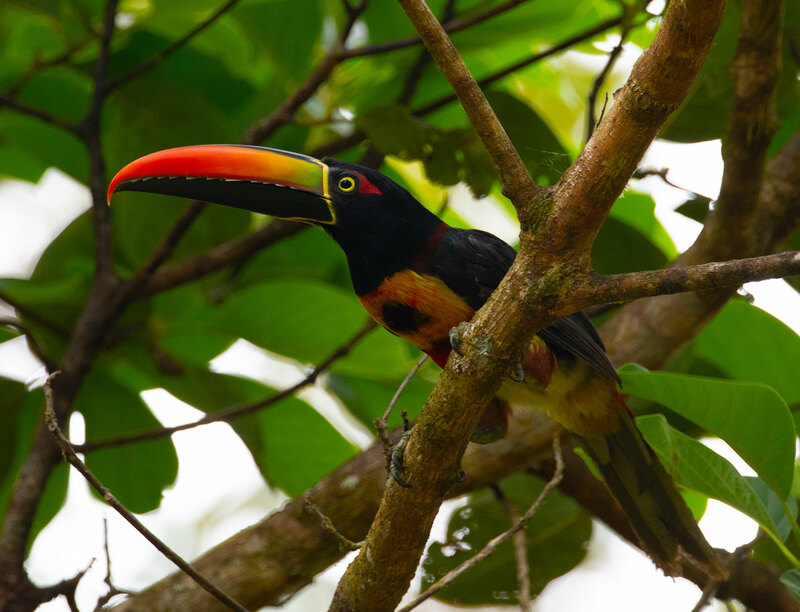 A Fiery-billed Aracari travels through the forest, seeking fruits in the canopy. On a cloudy afternoon, I take a walk with Kevin, one of the lodge guides. A steep road, cut into a steep hillside; makes for complex geography and varied habitats: dense viney jungle, steep cliffs and river gorges. We are looking for Orange-collared Manakins, and so we diverge from the road into the forest. The beach trail between the La Leona Ranger Station and the Sirena Station in Corcovado National Park, Osa Peninsula, Costa Rica. While the story of the dog must surely have been passed along in a game of telephone, there is no doubt that a story of large, dangerous animals, brought close up in the form of a gentle, scarred dog, intrigued them all. 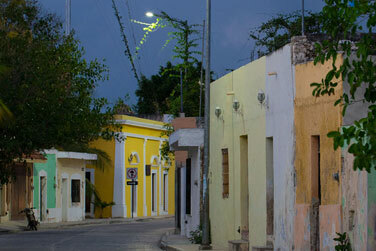 As adults, we still view, and talk about these latin jungles through the stories of large, lurking animals. And if not large animals, then small, delightful birds. Kevin and I find the Orange-collared Manakin, high up on a tree branch. Just a little thing, with a puff of orange, and then it’s gone. For however long I have been introduced to the idea of a vast corridor that would stretch from the southern states of Mexico through Panama, we always hear about it in the context of the jaguar. The Mesoamerican Biological Corridor would give the jaguar the space to roam that it needs, we are told. The explanation suffices; it works, it even manages to raise money to conserve more land. In a way, you might say that vast corridors of nature allow the many species - of bacteria, of fungus, of insects, of plants, of amphibians, reptiles and small mammals to flourish, creating the ecosystem upon which the jaguar, as well as humans, rely. 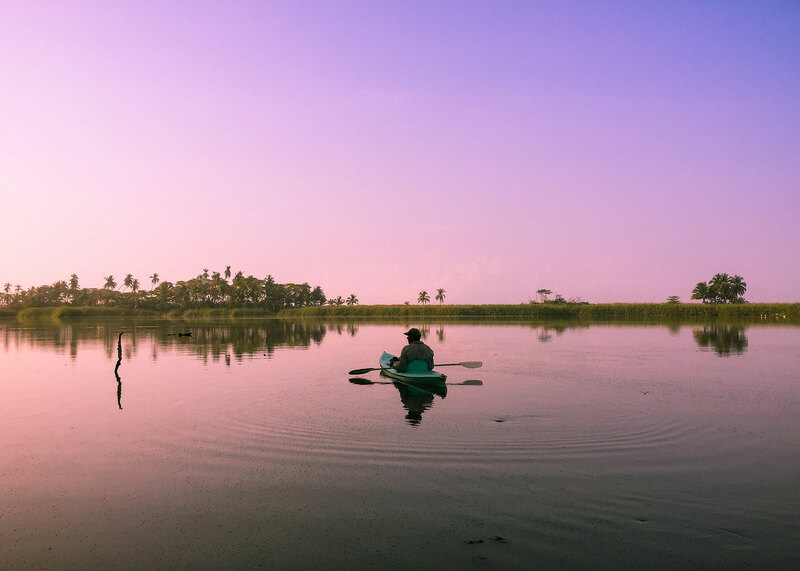 The Peje Perrito Lagoon, just south of Carate, teems with life. As the conservation of wild spaces becomes more serious - as it becomes more about things like mass extinctions, the warming of our planet, the depletion of global seafood stocks, the collapse of the biosphere itself, I wonder if we have spent too long talking about conservation like children talk about the jungle, as if we really are talking about conserving half the world for the sake of jaguars, caribou or tigers? Many people talk about how the wildness of the Osa Peninsula is particularly intense; as if its wildness is spilling out of the trees. And this is actually true. Wildlife abounds in a way I have never seen anywhere else. Why is this? For one, the Osa Peninsula is part of the thin isthmus where North and South America connected some three million years ago, creating an overlap of species from both continents. On top of that, this part of Costa Rica is ripe with abrupt changes in topography and climate, creating basins and ranges of habitat variations. These bands of habitat create spectacular chances for ecological diversity. 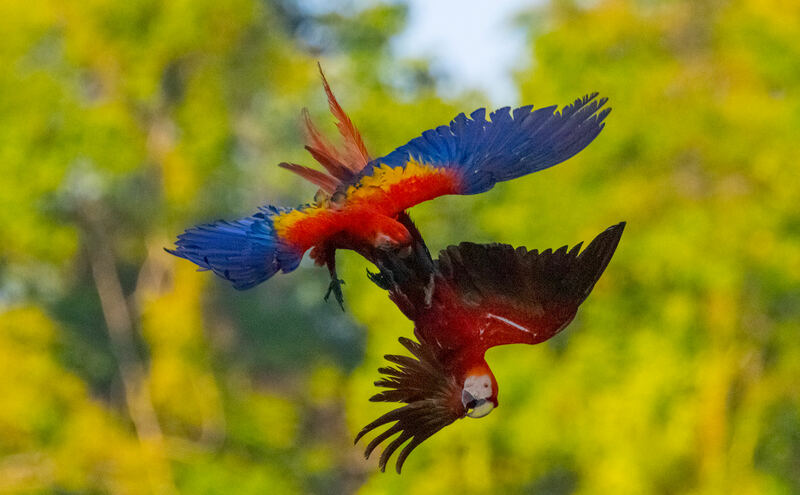 Scarlet Macaws fight in mid-flight. Lastly, most of the Osa Peninsula has remained, for the most part, largely unbroken jungle, almost free of development. There are no roads dividing up its interior. No towns, and almost all the farms and ranches exist only on the flat floodplains near the Golfo Dulce. There are many other protected parks in Costa Rica. Over twenty-seven percent of the country is protected by private and public lands. But many of these parks are small, isolated islands of protection. In the 1960s, Edward O. Wilson and fellow scientist Robert H MacArthur proposed the Theory of Island Biogeography, which argued that islands tend to have less species richness than continents, and that the larger an island, the likelier it was to hold a greater diversity of species. Small islands were also less stable than larger ones, as the small ecosystems increase the probability of extinction events. 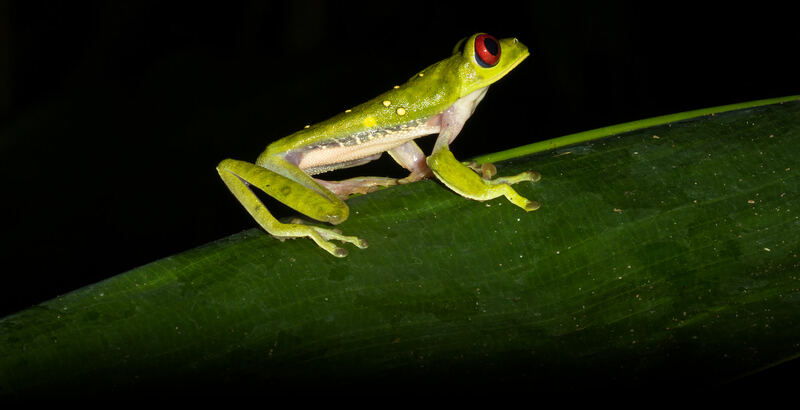 Red-eyed Leaf Frog saunters through the understory of Corcovado National Park. Today, island biogeography has evolved into the study of insular biogeography, which expands upon the earlier theories, and looks at how well isolated ‘islands’ of habitat, surrounded by disturbed or unsuitable habitats, are able to maintain their diversity and ecosystem health. As the theory goes, a wild zone, surrounded by fragmented habitat - agriculture, suburbs, roads, mining operations - for example, will produce the island effect on a national park. I love islands, of course, but islands are always clearly less diverse than mainlands. The Bocas del Toro archipelago on Panama’s Caribbean coast is a lovely place, but relatively empty of life. The Abaco Islands, of which I have often written, are missing a diversity of reptiles, simply because of an abundance of birds. The theory of insular biogeography, with all of its faults and weaknesses, has propelled the case for larger national parks, and unbroken corridors, throughout the globe. 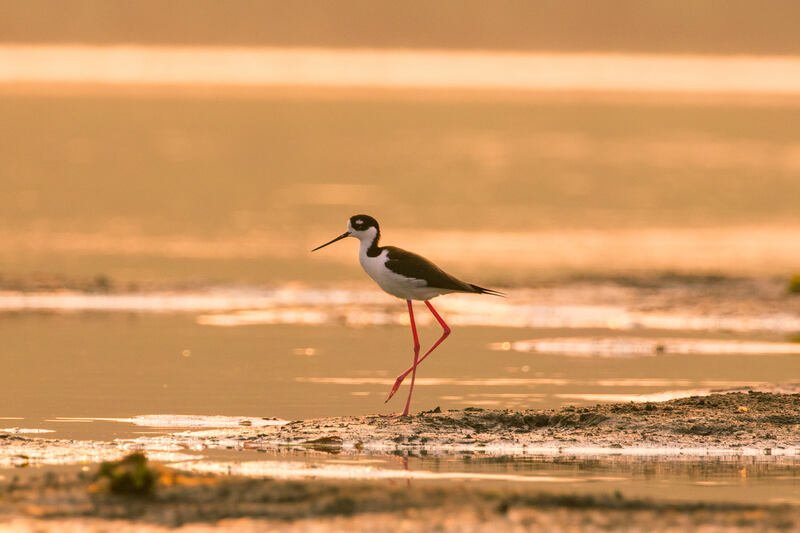 Black-necked Stilt at the Peje-Perrito Lagoon, south of Carate. Look at Costa Rica on Google Earth, and you’ll see a patchwork of parks that exist as an isolated forest in a sea of humanity. 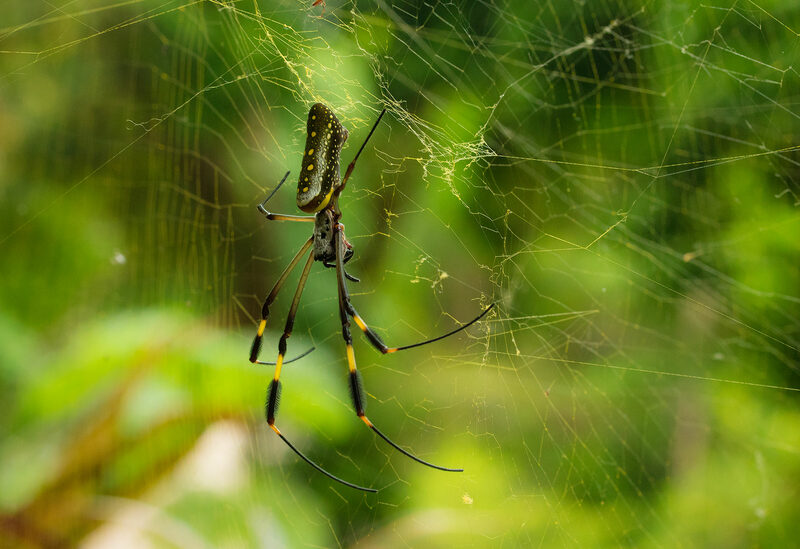 Here at the edge of Corcovado National Park, you can see the robustness of life; the effect of vast, unbroken wilderness. Corcovado itself has long segments of trails for backpackers and hikers; but it is essentially just one trail. The rest of Corcovado is inaccessible to all humans but biologists. And today, entering the park requires a licensed guide. Sometimes, you can feel the effect of an abundance of human hikers and wildlife viewers on a small park. On busy weekends, it’s typical for animals to shy away; small forests easily go quiet. It might be intuitive to think that large parks tend to get filled up the same way, especially as human populations increase. But humans tend to stick close to visitor centers and established trails. In the United States, even as population and wealth increase, the number of backcountry permits has remained the same since the nineteen-sixties. Large backcountry wilderness tends to stay that way. But how do you it? Isn’t the goal itself impossible? In every region of the world, there is already some active conversation about how to patch together parks into larger corridors. The blueprint for setting aside half the Earth are already out there. Here in Central America, look at the Mesoamerican Biological Corridor as a template. In North America, look at efforts to expand protection of the vast boreal forests, and the puzzle-piece protections of the wildernesses of the west. The Obama administration may be protecting the largest amount of western wilderness of any administration. But look at those protections from a larger map, and you’ll see bigger conservation plans at work - a corridor that may some day unite the forests, mountains and deserts of western Canada, western US and western Mexico. 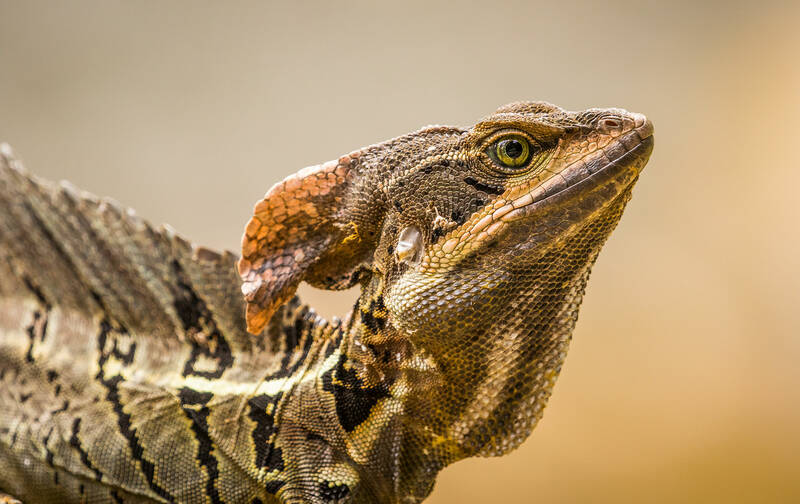 A large male Common Basilisk displays its crest on the road to Luna Lodge. When I started writing for Notes from the Road in 1999, many of the ideas I considered back then would have been considered radical - that the world would come together and sign a climate pact, or that the world would engage in dismantling its coal industries, or that the world would see a vibrant electric car industry. But sixteen years later, all of it has happened. Back then, it would have been hard to imagine that the world would have preserved almost thirteen percent of its land. But today, it has happened, and is continuing to happen. Perhaps in another fifteen years, Wilson’s radical idea will be within reach. The notion of larger wilderness corridors is not radical in the Osa Peninsula. Lana Wedmore, who built Luna Lodge, also founded The White Hawk Foundation, which raises money to purchase ranch land adjacent to Corcovado National Park. Lana’s enthusiasm for preservation is infectious. “There is no other place left on the earth that has so much biodiversity in such a small area, with a healthy ecosystem still intact,” she says. 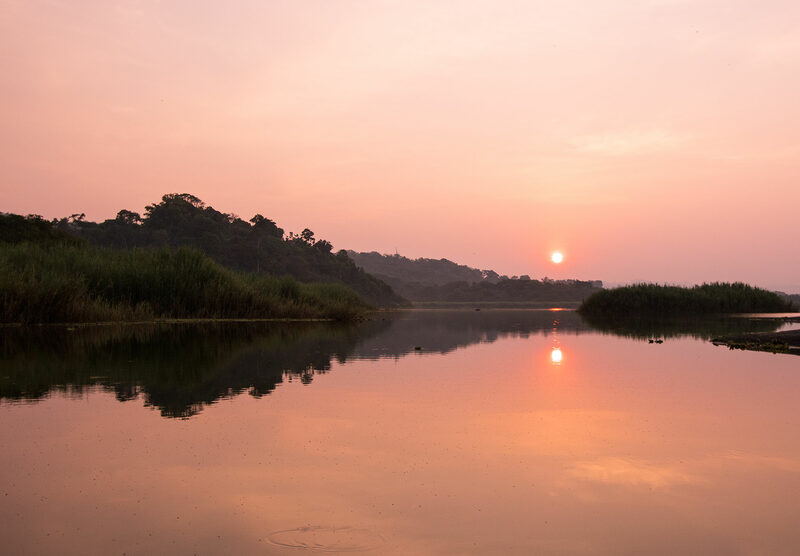 The White Hawk Foundation, named after the rare raptors that circle above Corcovado, follows the premise that despite the park's relatively large size, it is still an isolated wilderness that needs to be connected to larger wildernesses. 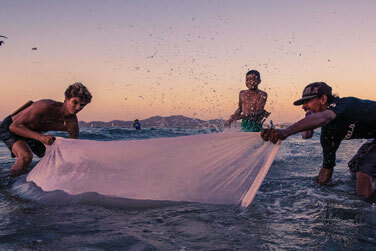 The foundation’s goals are modest; it’s a small foundation that hopes to expand the protected zone of Corcovado by purchasing ranches adjacent to the park. “We’ve raised over 10% of our goal, over $200,000 dollars,” Lana explains. The dollars needed to buy up the adjacent ranches is small, especially compared to the money that goes into protecting much smaller parcels of land in the US and Canada. 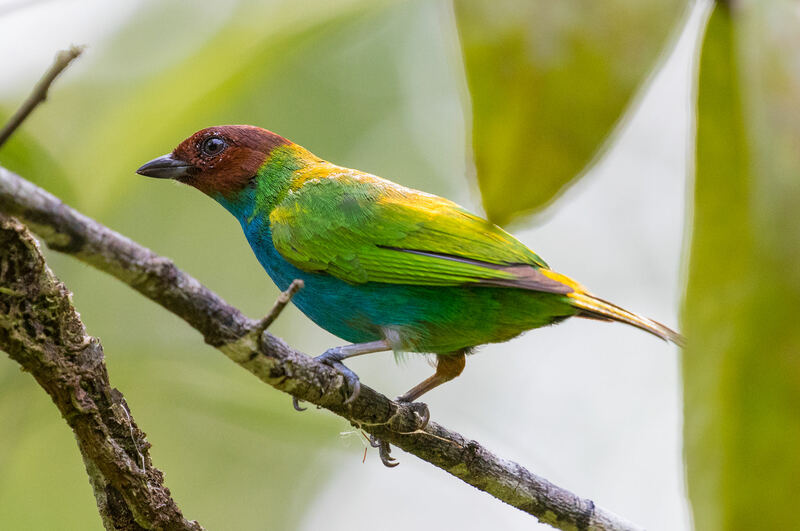 Bay-headed Tanager at Luna Lodge. La Amistad International Park is a preserved area split equally down the middle of the southern part of Costa Rica and the northern part of Panama. Imagine Corcovado linking up to this park and you can start to see how the idea of an unbroken chain of international preservation through the rich jungles of Central America is not so far-fetched. 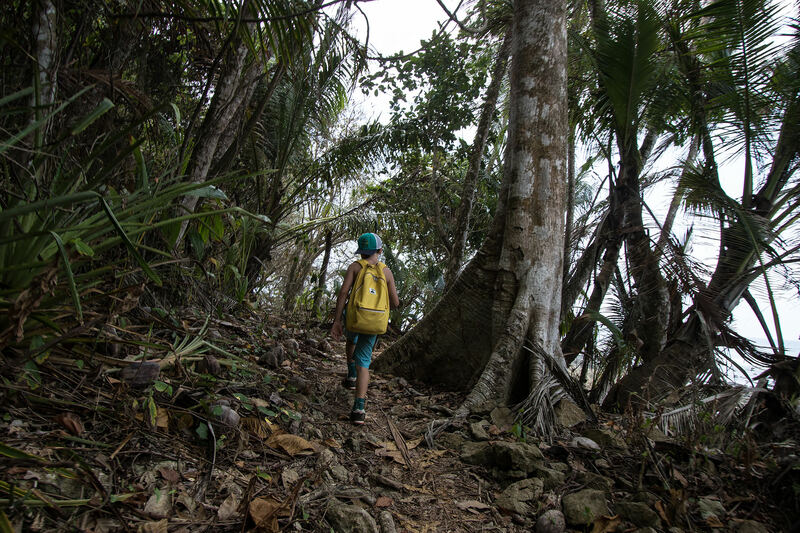 We are preparing for our own hike into Corcovado National Park the next day, and the guests of the lodge who had completed the eleven-mile hike are loading Jane up with information, offerings of backpacks, tips on what to bring and how many extra pairs of socks to take. “Everybody needs three liters of water,” a guest explains. The next day, we depart from the lodge and head north along a beach-side trail. We pass through misty coconut palm groves and dry coastal forests, populated by troops of monkeys. Kayaking Peje-Perrito Lagoon, South of Carate. Unlike anywhere else on Earth, you can walk for three days straight along the beach and not see a single human structure. We make it by midday to a half-moon bay, where Scarlet Macaws flock, and the green of the jungle bursts out onto the beach. 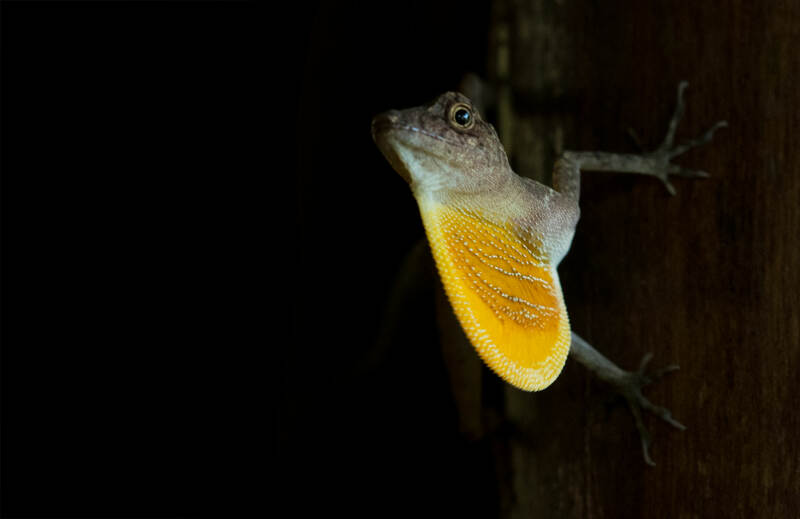 Golfo Dulce Anole displays its brightly-colored dewlap for a nearby female. But when, later in the sweltering heat, our guide and I find a tamandua scouring above in the branches, my son appears unimpressed. “This is the animal that so many people come here to see!” I try selling him the anteater’s qualities. But actually, coming all the way to Corcovado to see a tamandua, a tapir or a monkey is like the children’s story of traveling to wild places. More of us should look at the yellow spots on the back of the ant, and the fungus on which it feeds, and the vines of which is calls home. Because if we are to imagine protecting half our world, more of us adults need to find wonder in the rest of the biosphere. 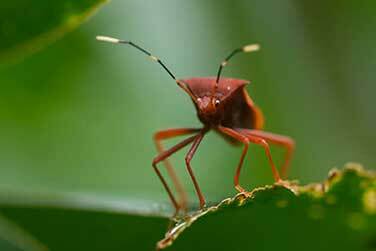 Because the ants and the fungus and the vines are the foundation for the tamandua, the monkey, the jaguar, and us.